It was a tough opening day of EuroHockey Indoor Club Trophy in Vienna for Clydesdale Western with two defeats against Hahk Mladost of Croatia, and SK Slavia Prague of Czech Republic. 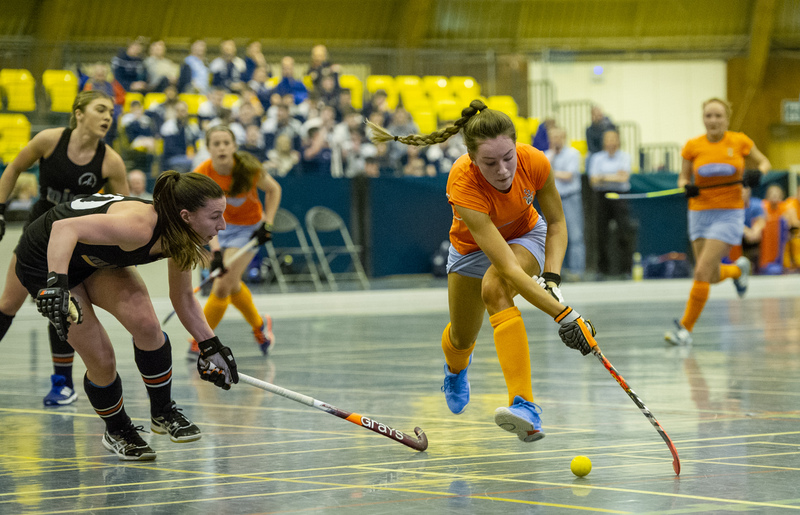 A set piece hat-trick by Margery Justice was not enough to prevent Clydesdale Western from going down 5-3 to Croatian champions HAHK Mladost in the opening pool match at the women`s indoor European Club Trophy in Vienna. The catalyst was losing a goal at the start of each half, in only three minutes Marijana Franic put the Croatians in front. Justice levelled from her first penalty corner and that is how the score stood at half-time. Within two minutes of the restart Marina Abramovic put Mladost 2-1 ahead. The Croatians proceeded to dominate the rest of the half with further strikes by Abramovic from the spot and then Ivona Makar from open play for a comfortable 4-1 lead. There followed a crazy last two minutes, Western`s Francis Lonergan was sent to the sin bin and almost immediately Abramovic added another from a penalty corner for 5-1. Then up stepped Justice to score two quick-fire strikes, the first from the spot and almost immediately after another at a penalty corner to bring the score line back to 5-3, but it also had the consolation of earning Western a bonus point for a narrow defeat. Clydesdale Western are off to a tough start after losing 4-2 to Czech champions Slavia Prague in their second pool match at the women`s indoor European Club Trophy in Vienna this evening. Both Western and Italian side Lorenzoni Bra are rooted to the bottom of the pool table, but the Glasgow side have the benefit of an additional point. Again the Scots were caught with an early killer punch, Natailie Hajkova opened the scoring in the first minute for the Czech champions. However, six minutes later the Scots were level when Susie Gillman scored from open play. But parity did not survive to the interval with a penalty corner conversion by Slavia`s Adela Lehovcova. Three minutes into the second half Margery Justice gave Western a glimmer of hope with a penalty corner strike, but the result was sealed when Slavia`s Tereza Mejzlikova added the fourth from another set piece to claim the points.